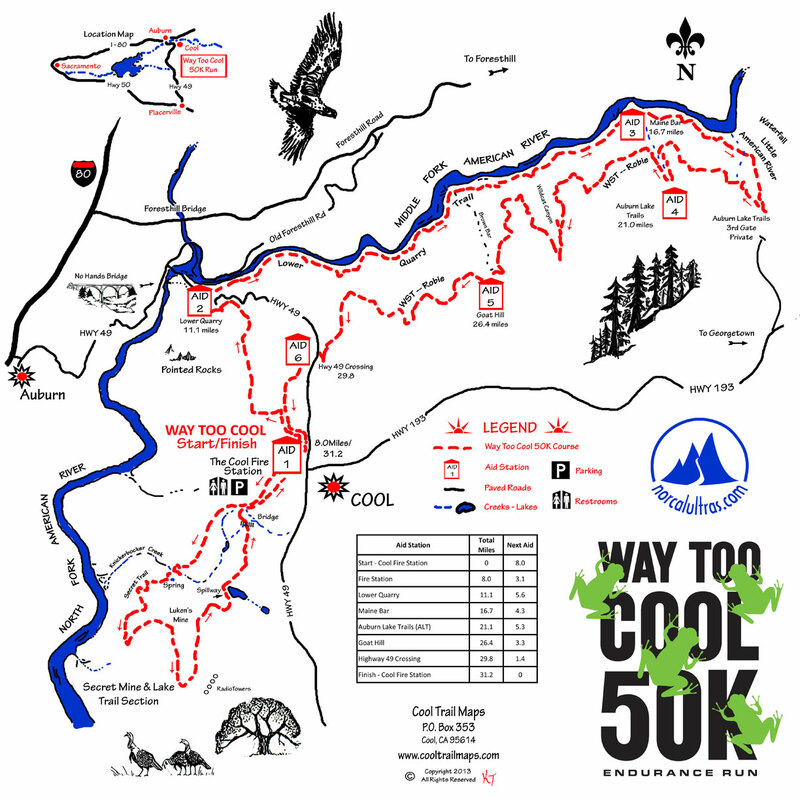 The Way Too Cool 50K Endurance Run, presented by Clif Bar, covers part of the Western States 100 course and finishes in Cool, Calif., hence the name. 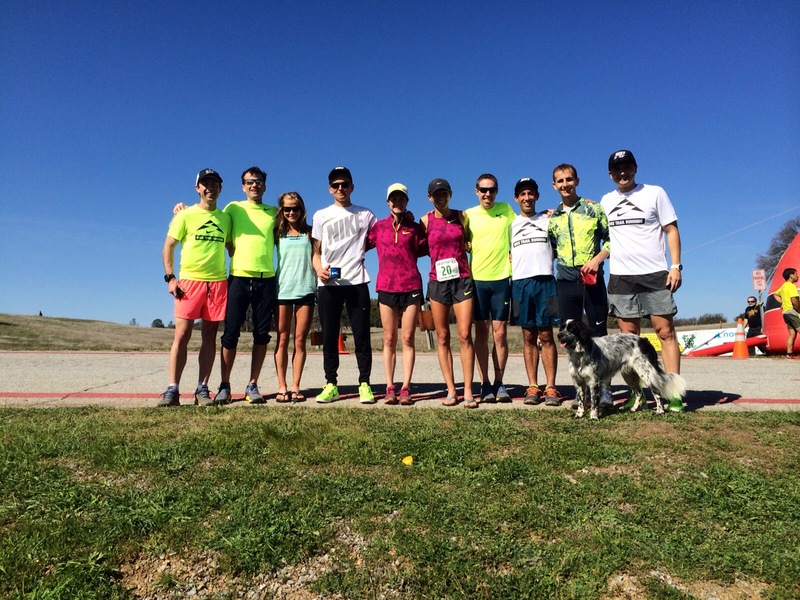 This race has become the most sought after 50K in the United States for experienced runners and novices alike. The breathtaking trails, spirited aid stations, amazing views and pure fun make this an adventure you won't want to miss. After your run, kick back and relax as you enjoy delicious and hearty fare from the local Cool eatery, Cork & Fork. Warm your soul with a cup of homemade soup prepared by ultra runner and chef, Tim Ruffino. Finally, satisfy your sweet tooth with our signature frog cupcake! In case you're wondering, 50K is 31.068 miles, so this race is about five miles longer than the marathon. 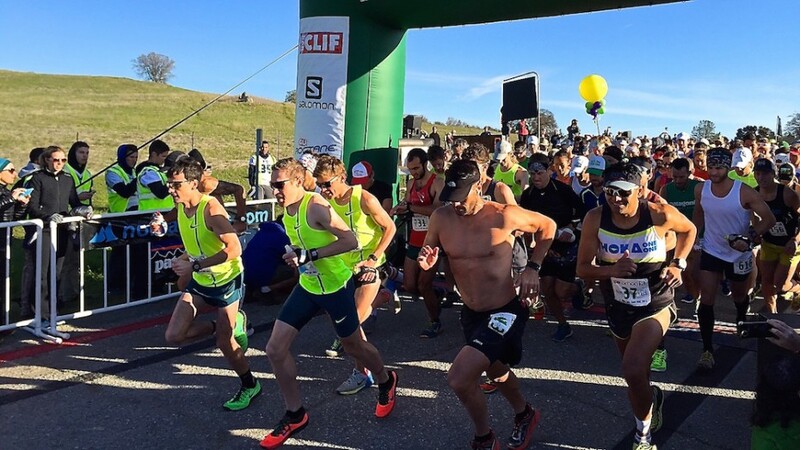 This is one of the most popular 50K in northern calif. It is always sold out with a waiting list. I have done this race six times. Always a great trail using a lot of the western states trail in auburn. 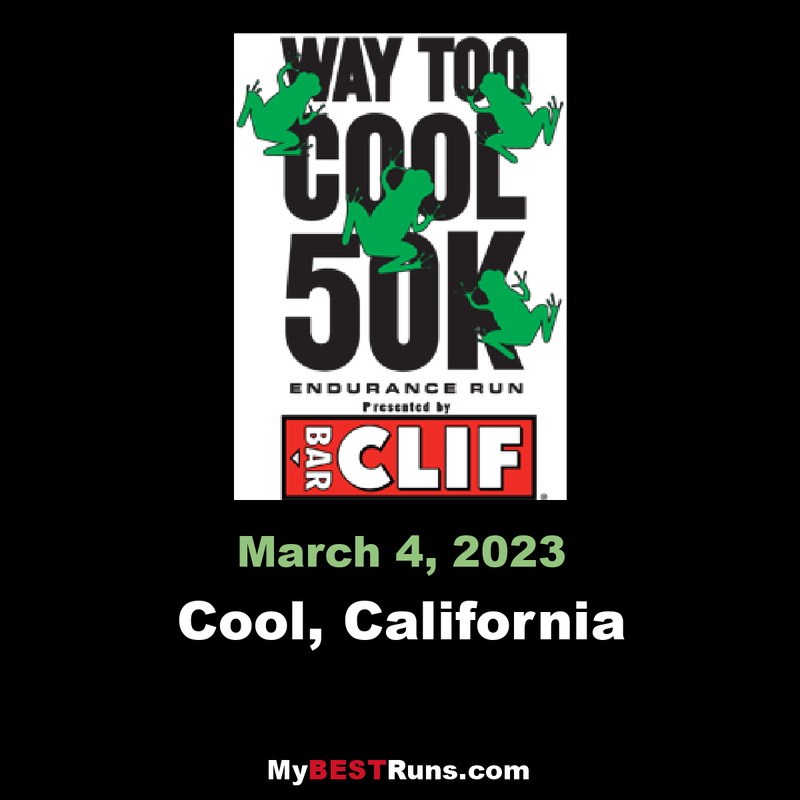 It is a must race for anyone doing AR 50 in April.